Reigate is at risk from heavy rain moving north across the SE during Friday pm through to Saturday. 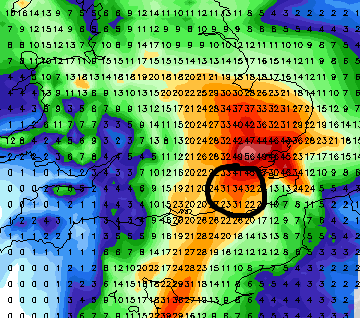 24 hour rainfall totals could exceed 30mm for this period. This marks the start of an interesting period of weather seeing temperatures taking a big drop from Sunday through to Monday. Prepare for cold temperatures and icy conditions in Reigate by Monday through to Tuesday especially. Snow is a risk but exact details remain uncertain: the main snow risk for Sunday is north of London, Midlands and north of the M4 corridor but temperatures fall overnight easily low enough for any rain round Reigate to increasingly fall as snow. It will certainly be chilly and Monday night could be extraordinarily cold for March (where’s Spring? )!